When you hear that sound frequently there's a good chance that spring has sprung! spring (noun): a season between winter and summer when plants and flowers begin to grow. 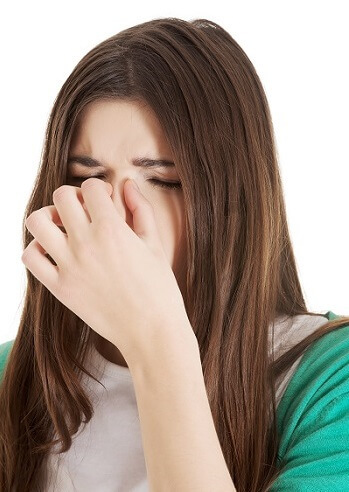 Many people realize spring has sprung (arrived) when they start to feel the symptoms that come from allergic reactions to pollen. Pollen are the very small pieces of yellow dust that the wind and insects carry from plant to plant so they can produce seeds. We call this allergic reaction "hay fever." When people have a severe reaction to pollen it's common for people to say "my allergies are killing me." Their allergies don't actually kill them but the symptoms are very uncomfortable and irritating. It's hard to do much of anything when you cannot breathe easily—it's bothersome whether you're awake or trying to sleep. Can you match some of the symptoms to the pictures? You probably already know what eye, nose and throat mean (if not, click here to review the body vocabulary). However, you may not know what the sinuses are. 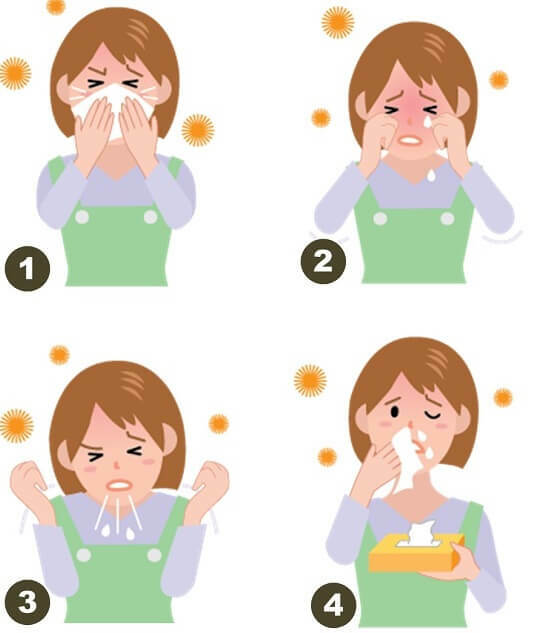 The sinuses are shown in the diagram above. 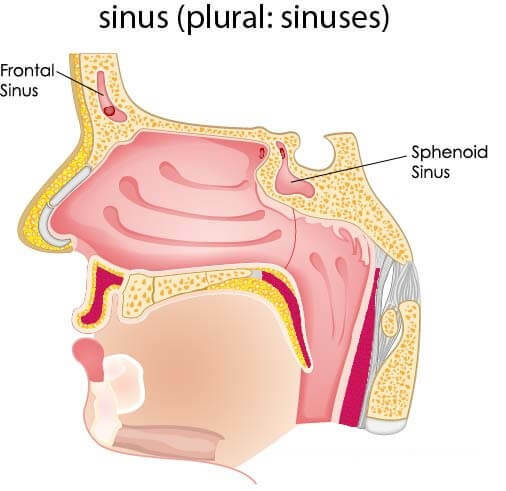 Sinuses are spaces in the head that connect to the nasal passages (nose). Sinus pressure happens when the sinuses become swollen (become larger) and you can feel pressure around the eyes, ears, cheeks and forehead. As you know, practice makes progress. It's time to write something in the comments. Do you get allergies in the spring? 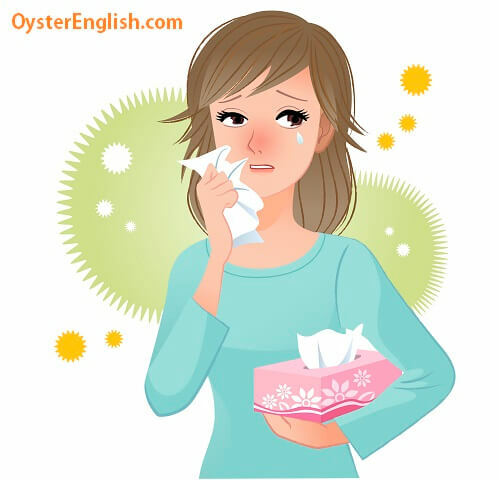 Are you allergic to other things (e.g., foods, medicines, insects, animals). Describe something you're allergic to in the comments and the symptoms you experience.